It’s the season for pumpkin, the savory and the sweet. We see pumpkins in big piles at the grocery stores and some of us start jonesing for a familiar taste. 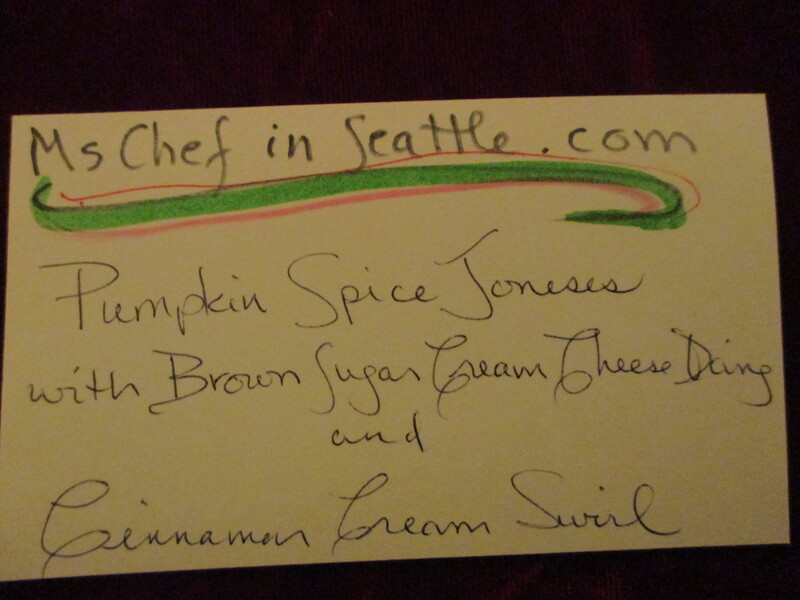 I hear about pumpkin this and pumpkin that, pumpkin spice in a latte, pumpkin soup, pumpkin couscous and my inner baker reminds me that it’s time for my original Pumpkin Spice Joneses, another of my soft, iced cookie line. I usually make them for the larger family gatherings at Thanksgiving, but for the last couple years and again this year, there will not be one of those. I miss seeing all my little grand nieces and nephew, but a bitter divorcee has robbed many of us of the opportunity for that pleasure. Nevertheless, I had the pumpkin, there are plenty of willing tasters and I wanted to try a different icing this year. My cousin AliceMarie sent me some cinnamon chips from a little shop in Rigby, Idaho and I’d been contemplating how I might use them. It’s my practice to build cookie trios, three that are related in some obvious manner, but different. Pumpkin Spicy Joneses have had two different icings until today, a penuche icing and a fresh orange icing. Today, I made a Brown Sugar Cream Cheese Icing and then decorated the cookies with a Cinnamon Cream Swirl. Cinnamon chips, who knew?